This match. It's pretty darn perfect. 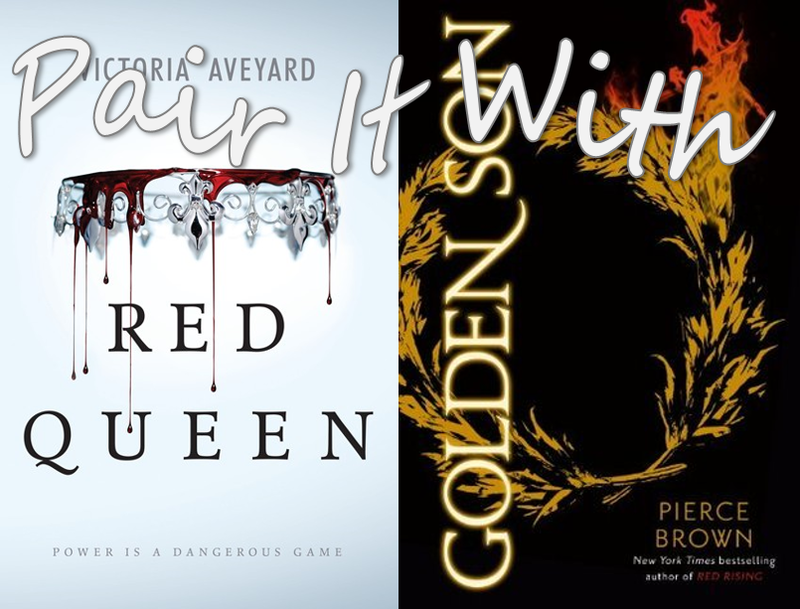 Just when I thought I would be walking around with a Red Rising Trilogy hole in my heart all year long, Victoria Aveyard came along to bandage it up, at least for a little while. Red Queen and Golden Son (the second book in the Red Rising Trilogy) both feature stratified societies with caste systems based on color. In each case, Reds are the lowest of the low. Both books star a Red protagonist masquerading as a member of the highest caste with the hope of overthrowing the whole system. 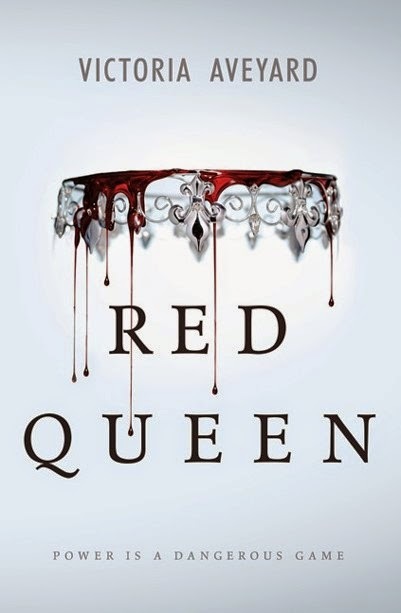 Red Queen is Victoria Aveyard's debut novel, and it has been getting a ton of buzz. And you know what, it's well deserved, which is such a relief to write. Mare Barrow is a Red. She lives a day-to-day existence in a Red slum thieving to get by. In Mare's world there are two types of people, Reds and Silvers. The two are differentiated by their red and silver blood and the fact that Silvers possess a wide array of super-human powers. Some are extraordinarily strong; some are telekinetic; some read minds. Silvers live like gods in fabulous palaces expecting Reds to be serve them, worship them, and, above all, be subservient to them. Mare is sick of all of it. She's sick of the feats of strength meant to lord the Silver's powers over the Reds. She's sick of being hungry, dirty, and ill-treated. But most of all she is sick of the mandatory conscription that has taken her brothers to the war front and will soon take her. Then through a series of tragedies and coincidences, Mare finds herself working in the palace where it's discovered that she has extraordinary powers of her own. Suddenly, Mare, a lowly Red, is a huge threat to the Silvers, who, in order to cover up Mare's powers, bring her into their world. And it is a dangerous world, indeed. There's so much to love in this book. Red Queen is kind of Red Rising combined with X-Men and set in a dystopian world. If you love dystopia, this one won't disappoint. The setting is pretty well done, especially once we get to the palace. If you love a book with superpowers, like I do, Red Queen is for you. There's a wide variety of supernatural powers, and they make all the court intrigue just that much more dangerous. Mare position in the Silver court is incredibly unstable which makes for a great deal of tension and suspense. And, best of all, the princes are fabulously complicated. Red Queen is out February 10th, 2015. I kind of feel like I just got raked over the coals by Golden Son. I liked it. I mean, I really, really liked it, but it has this horrible Catching Fire-esque ending and now my mind is blown, and I just don't know how those characters are going to survive another second. Not to mention, the horrible cliff-hanger that I will have to live with for an entire year! Book two in Pierce Brown's break-out Red Rising Trilogy is an epic affair. After the horrors of the Institute Darrow has risen to become a member of Augustus's guard, but life at the top is tenuous, both for Darrow and for Augustus. The number of reversals in this book is harrowing. Things change in a breath. At one moment it seems all is lost and then Darrow has another trick up his sleeve or a bout of good fortune. The characters bounce all over the solar system from Mars to the moon to the asteroids and the gas giants. There are so many moments of extreme tension in this book. Pierce Brown is so good at pouring on the anxiety. Many of our old friends and old enemies from book one return in Golden Son. As always, Darrow has the weight of the world on his shoulders, huge secrets, and, like a great tragic hero, he is so alone. Even in the company of friends he is so alone. Of course, unlike those Greek tragic heroes, Darrow is not a god or a prince; he is from the lowest of the low and is merely masquerading as a golden son. 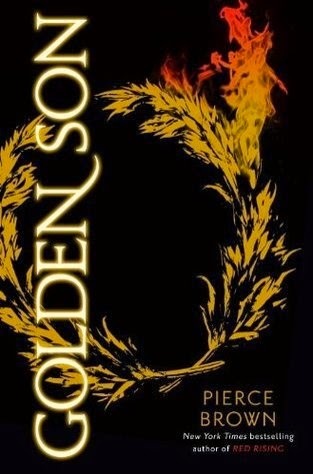 Pierce Brown has talked about the connections between his series and Antigone and there's an element of Greek tragedy that runs through the trilogy that is very intentional and thought-provoking. I quite like Brown's writing and its somewhat stylized quality. The dialog is especially well done, and it makes the characters seem like they belong to another world. They are not, in any way, today's teenagers transported to space. Some of the best moments in Golden Son are the quiet moments. I quite like the interactions between Darrow and Mustang and Darrow and Sevro. And, in a book with so much extreme tension (seriously, at times I needed to check my pulse), it was nice to pull back for a moment. Golden Son is out January 6th, 2015.